Warrant Officer James Eugene Kirby was born on October 27, 1941 to Mr. and Mrs. Grover P. Kirby of Ann Arbor, Michigan. James graduated from Ann Arbor High School in 1958. James Kirby was a professional serviceman serving in the Marine Corps for four years before enlisting in the Army in November of 1964. He attended jump school at Fort Benning, Georgia, and later attended Air Force Flight school at Fort Rucker, Alabama. 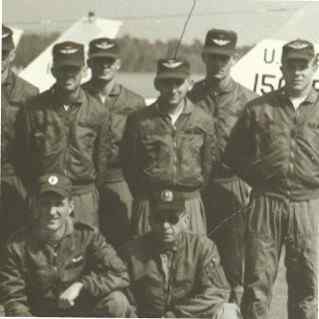 Warrant Officer Kirby was assigned to the 203rd Aviation Company, 223rd Aviation Battalion, 17th Aviation Group of the First Aviation Brigade in Phu Hiep, Binh Dinh Province, South Vietnam. Warrant Officer James Eugene Kirby began his tour of duty in Vietnam on November 2, 1968. James was flying a mission on February 11, 1969 when his aircraft was hit by enemy antiaircraft fire and the aircraft crashed killing James instantly. James Eugene Kirby is survived by his parents, his wife, a son, and a daughter. He lived 27 years, 3 months and 14 days. James is resting in the Bethlehem Cemetery in Ann Arbor, Michigan. His name is listed on the Vietnam Memorial located at the Ypsilanti Township Hall under Ann Arbor. He is also listed on the Vietnam Memorial in Washington, DC on Panel 32W Line 013. Jim was a classmate, a "retread, the voice of experience," to the "young guys," in the class. He could entertain you, with his humor, make a scary situation hillarious. He and a big bird once, had a collision on take-off, he could make you believe that it was, all the bird's fault! He was mischevious, a prankster, but a supporter, thru and thru. He was a professional soldier, a consumate aviator, most importantly, he was a friend, a comrade, and he is sorely missed. Jim was a good friend, during and after Flight School. He was, a good man and a good Pilot. He was a former, enlisted man. He graduated flight school, on 15, July 1968.